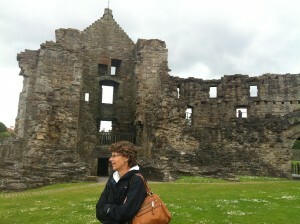 Kent’s parents came in April and they were our first family visitors, but last week our first friends came to see us. Sarah and Helen Morris. 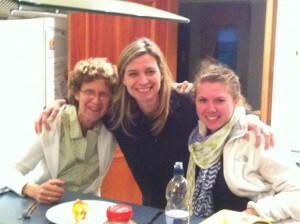 We have been friends for years. Helen is a student at Liberty with Michael and Robert, and her brother Eddie lives with them. 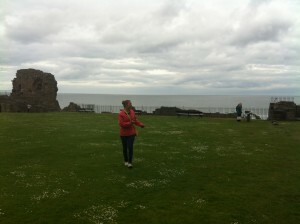 They have been doing some touring on their own and also spending time at our house. 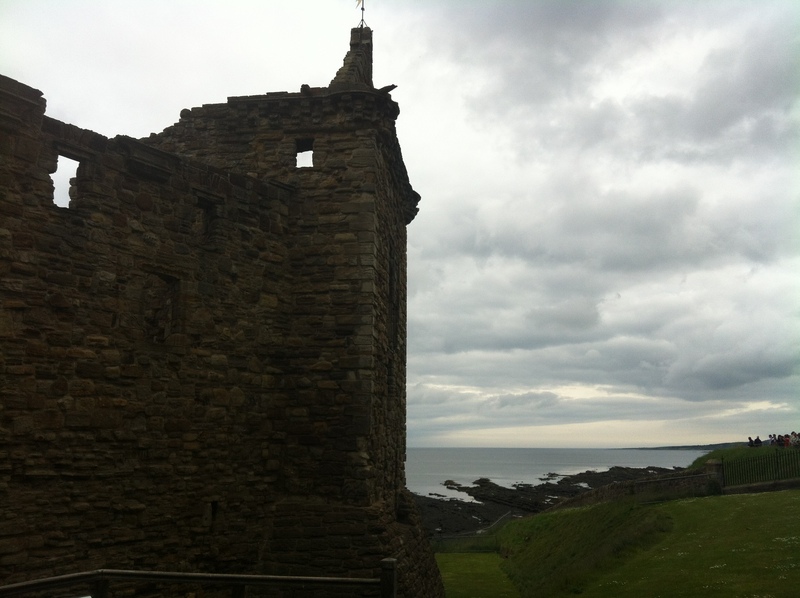 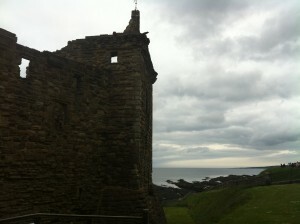 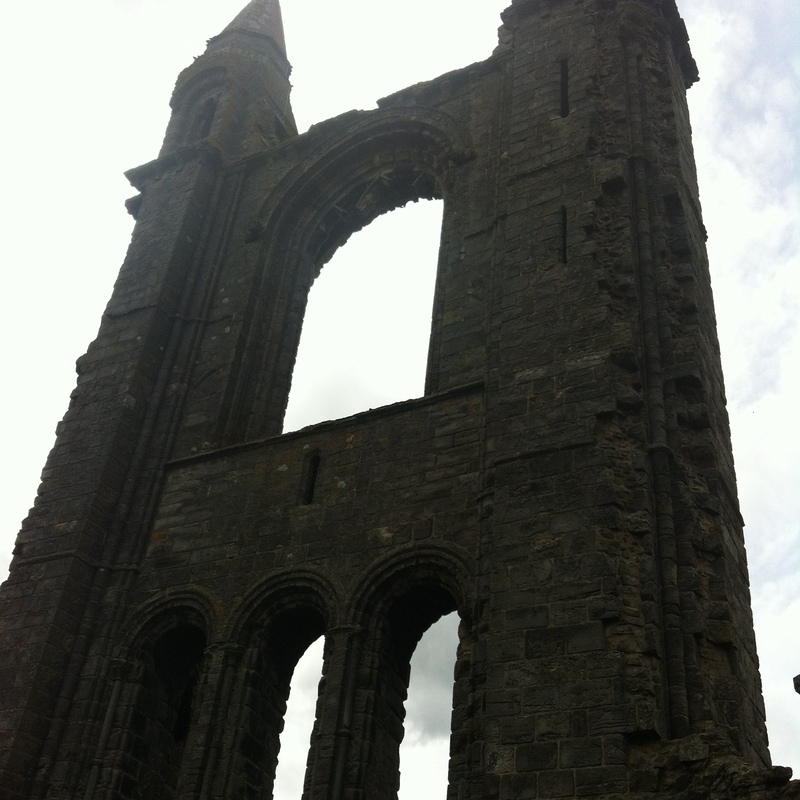 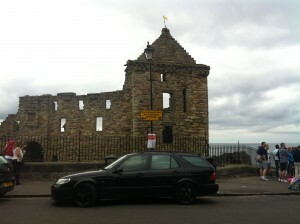 We spent last Saturday in St. Andrews and Sunday at church and in Crail which is on the sea. 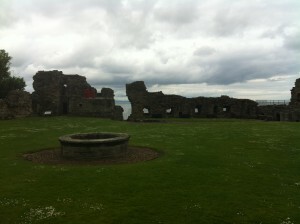 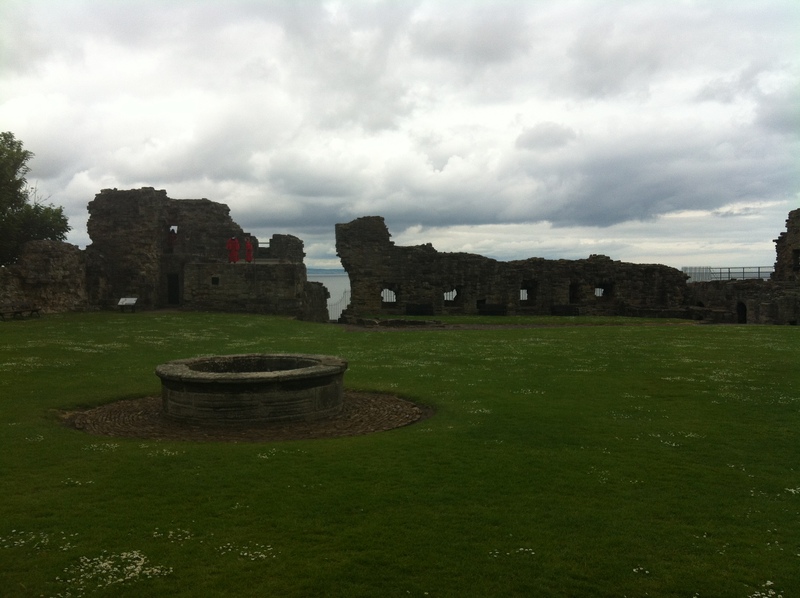 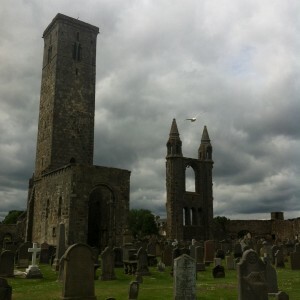 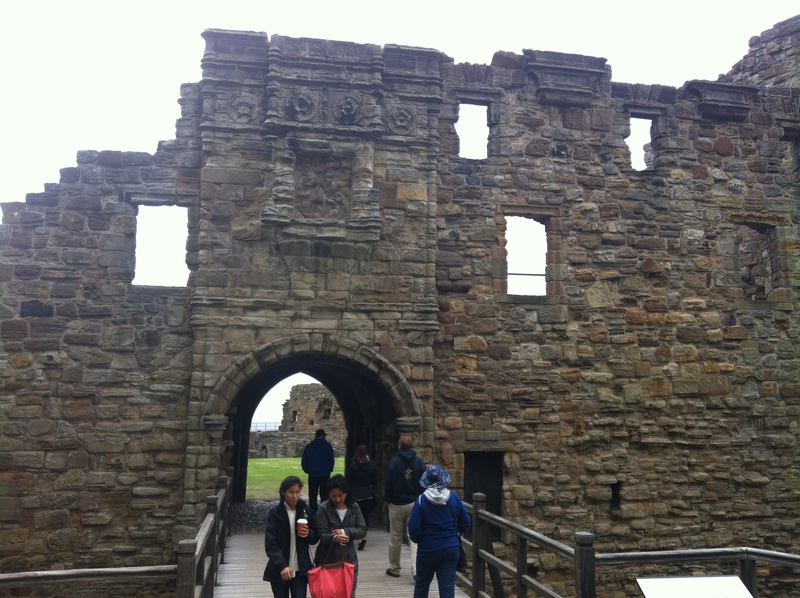 These ruins are the St. Andrews Castle and Cathedral. We also went to the coffee shop where Kate and Wills met. 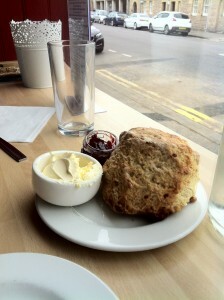 We had a scone with cream and jam. 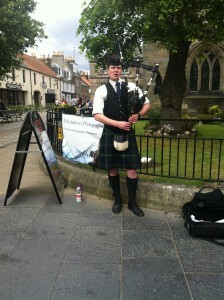 We also walked around the town and saw the bagpiper playing on the street. 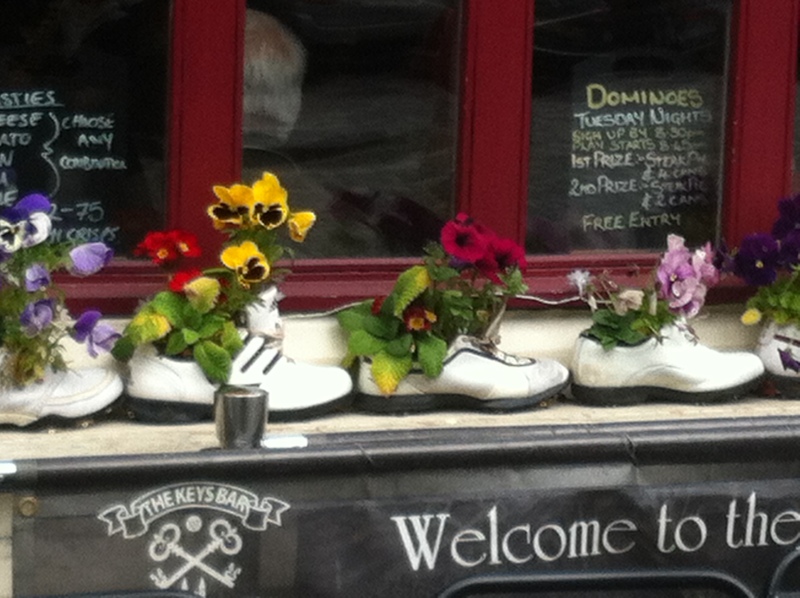 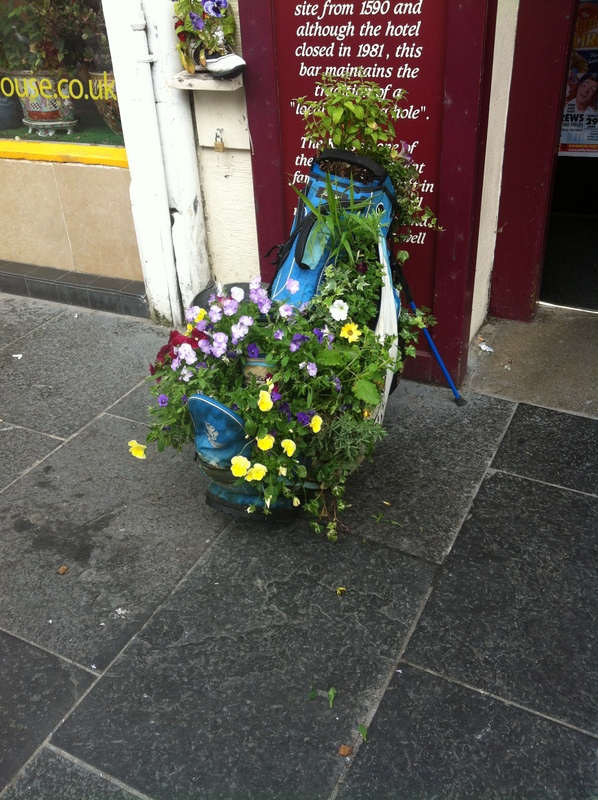 You can tell the town is preparing for the British Open. 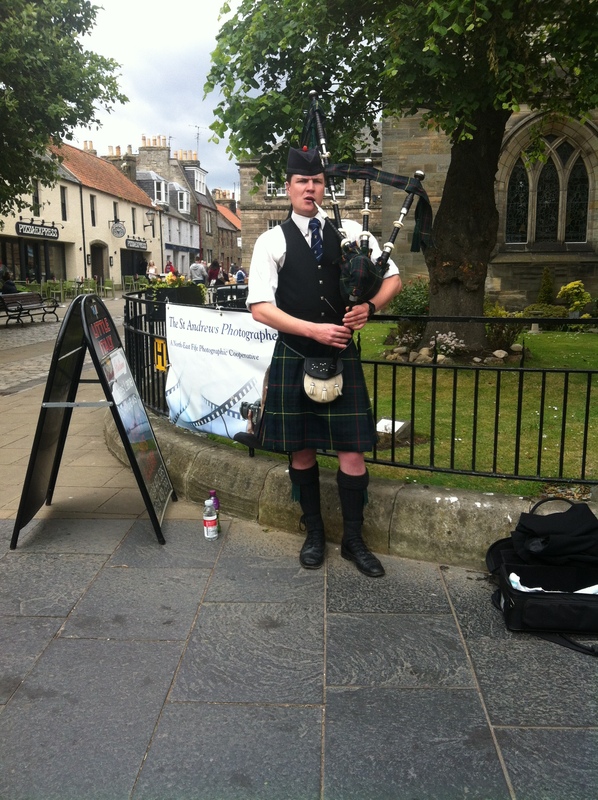 It starts on July 12 and they say about 100,000 people will be coming. 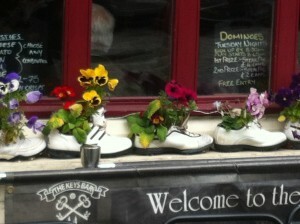 Should be exciting!